Changan were advertising for jobs in their European design centre. Who are they? What do they make? To find out I went looking. I found a car painted green too. Since I don’t acually know anything at all about Changan and I know more than almost anyone else about most things, I figured you, dear readers, might likely appreciate this rapid trot through a list of cars from Changan. It’s a long one. I may not be able to deal with their 9-car range without causing this article to burst and crack under the strain. Let’s start. The Raeton CC has a 62 litres fuel tank and one single engine, a 1.5 petrol. The length is 4.7 metres. Saloon! “Extra ordinary action, dominating outcome” runs the tagline for the Eado. The fuel tank holds 52 litres while the engine is a 1.6er and it’s 4.6 m long. One of the older cars in the range it has been facelifted. Changan claims the chassis was engineered in Detroit. I think I see an old friend in disguise. And I think the chassis may have been engineered in Rheinland Pfalz, not Michigan. Moving up a bit we get to the Raeton, which has a litre tank and a 1.8 or 2.0 litre petrol engine. Saloon! And moving down again we get to the Eado XT, a vehicle which is 4.4 metres long and has a 2660 mm wheelbase supporting engines of 1.6 and 1.6 litres (petrol and diesel) and a 52 litre fuel tank. I thought it looked like an Opel Astra. But Wikipedia says “At the Shanghai Auto Show 2013 was presented with the Eado XT as a hatchback variant. This came on 28 August 2013 in the trade. The Eado XT hatchback is based on the Changan Eado sedan that was launched in March last year” which I think means the XT was launched last year. Hmm. 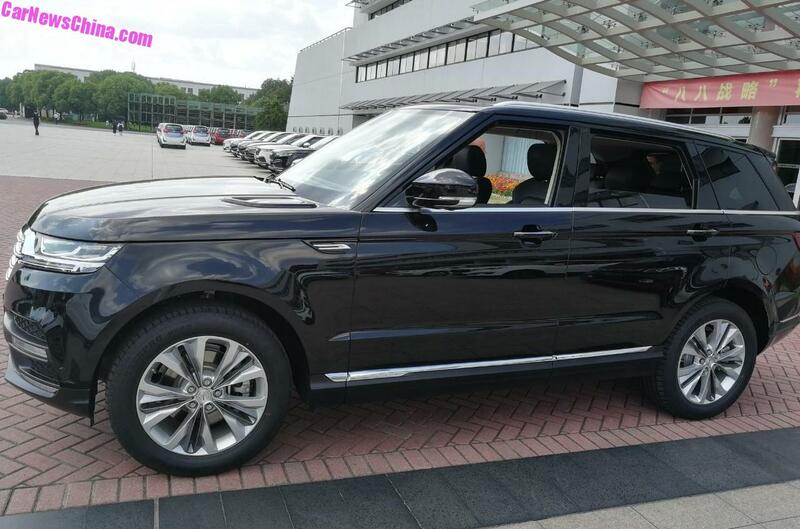 There’s a sportier version with a 1.5 litre turbo diesel. Just so we can all go home and get some rest, I have hopped with tremendous force past the Eado EV. It’s an electric Eado. I don’t like it when a car company uses the same name so many times in a brochure, like when Fiat puts up all 453 versions of the 500 as separate models. The 2018 Alsvin V7 has a 1.6 litre engine and for some reason Changan don’t make so much of a big effort to tell us the fuel tank capacity but do labour the point about being young and different. Saloon! 91kW. 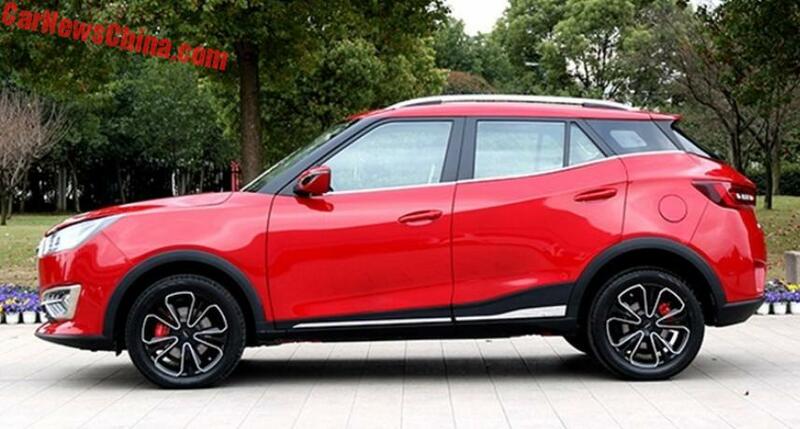 “The third generation Changan Alsvin debuted at the 2018 Beijing Auto Show in April 2018 and is completely redesigned. Prices ranges from 49,900 to 65,900 yuan “positioning the third generation Changan Alsvin under the Changan Eado DT subcompact sedan”. 4530 mm of length. Have you noticed these are all saloons? This is where all the saloons have gone, it seems. The Alsvin V7 resembles the Raeton to a huge degree. I have gone to look at that car three times and can’t really be sure. They aren’t as the slide show reveals. Still. They have some odd ideas about product planning at Changan. Then again, if you have 1.2 billion potential customers then presumably there are large markets for small differences. At 3.73 metres, the New Benni only needs a 1.4 l4 to pull it. 74 kW and no wheelbase or fuel tank capacity. Have you noticed Changan has at most 2 engines in their models? Just as the Gothic era saw an explosion in the richness of ecclesiastical architecture, the period after the war to around about now in Europe was a period of flowering of diversity in engine sizes. That custom of having petrols from 1.2, 1.4, 1.6 and 1.6 to 2.0 all under the one or two bonnets was something I took for granted. Changan shows that this was a local peculiarity of the time. 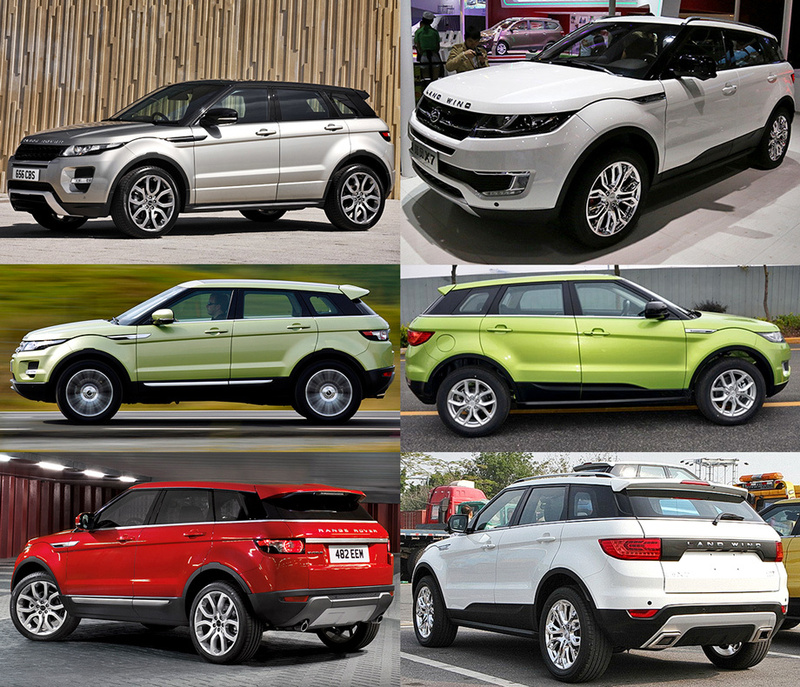 There are seven SUVs and five MPVs in Changan’s range. Do we really have the brim and vigour to peruse those today? I think not. more original designs. The cars above look very inspired by the Jazz, Focus Saloon, Fiesta and Lexus LS. I really prefer it when Chinese car makers do their own thing rather than copy/paste. 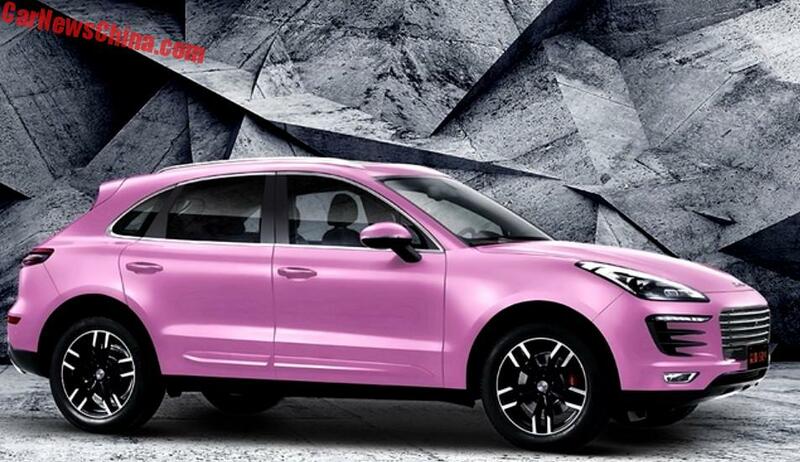 Zotye is another carmaker shamelessly churning out near identical copies. “Extra ordinary action, dominating outcome” – Often their tag lines make no sense and use a funny Engrish. At the moment I quite like the new Baojun E200, a tiny EV that looks awkward but cute. Sure, there are hints of other cars but look at it, you can’t possibly be angry with it. ….And JMC builds an old Ford Transit that looks suspiciously like a Star Wars Storm Trooper too. Yikes! That Transit nose job is hilarious. It looks like a bad Photoshop effort and the new to old join couldn’t be more obvious. Incidentally, Car News China, which has been an invaluable source of information on the Chinese motor industry, is no more. Its proprietor, Tycho de Feijter, is returning to The Netherlands. I didn’t know about Carnewschina. It’s a real shame. I didnt go there often but it was a very good site to understand the local market better. It wasn’t big on analysis and all that but at least you got to know what the English names of local models were ! Don’t you fancy a job at Changan and show them how it’s done Richard ? Love the stormtrooper/transit van! I’m amazed that Lego haven’t jumped on the bandwagon for this. Or perhaps Disney will mange to sneak some on the next set of the next cash-in franchise? I think he really should. He will turn Changan around, making it more palatable to European and western tastes, instil in them a timeless elegance that’ll be the envy of the Germans Premium manufacturers. People in China will see him as a living God and a sort of cult will be build around his person, a bit like in Japan where Carlos Ghosn was held a hero for saving Nissan and had merchandise bearing its image from Comic books to bed covers. In honour of his work, they will change the brand’s name to Herriott, because, surely, just like 99% of Chinese car makers, they will have to change their name if they ever hope to make it outside China (Iam looking at you DongFeng, BAIC, GreatWall and BYD). Herriott cars will be acclaimed the world over. Even people who did not care about or understood Car Design will say how perfectly designed these cars are. Central armrests that double as giant ashtrays will, of course, be standard on all cars and will be the brand’s USP of sorts (This helps him achieve cult-like status in China where smoking is still big). Seats clad in Anchovies leather will complete the Premium feel and the big German three will start closing shop, unable to retaliate, faced with so much opulence done in such a refined manner. Years later, at the helm of the company, he will change the firm’s name to Opel. Because why not. Tavares will sue him for that but people, and court judges, love his cars so much they will not care about PSA’s intellectual propriety anymore. However, rocked by a sexual scandal involving Portuguese dwarves he will leave the company in disgrace, never to be heard again, except on DTW, where he will reminisce about the good old times with poor Eoin having to endure all this. I’ll start smoking if ANY part of this comes true! I don’t intend this to be a criticism of Changan specifically, but you could have told me these were the product of almost any volume car company and I would have believed you. That car styling has become so generic is very dispiriting, but it would be fascinating to know the reasons why this has happened. I don’t believe it’s the oft-mentioned ‘legislation’. Perhaps it’s me – being 50 years old puts me outside of the target demographic, so I just don’t ‘get it’? NRJ, it’s a shame I can’t “Upvote” your post above. I’ve just laughed my socks off! Legislation does play a part -tall fronts and doors that get ornamentation to break them up and visually lower them – but so does aerodynamics – steeply-raked screens and high boots – and fashion. Cars cost so much to engineer and manufacture, brands are bound to copy something that sells. Then there’s the increasing reliance on suppliers to produce complete systems rather than just parts – that must limit designers’ options. Just what the world needs. An explosion of the humdrum and ersatz beyond China’s borders, a totally unfocused smorgasbord of models probably with sketchy warranties. Whoever’s supplying the industrial machinery to build these hundreds of newly minted blah machines is getting rich. I note the Chinese government is desperately trying to winnow down the hundreds of native car companies to a dozen or so with singular lack of success. Right now it’s rather a case of Stephen Leacock’s description about a fellow who “flung himself upon his horse, and rode madly off in all directions.” Chaos. And not much originality to light the way. It’s a seller’s market. None of these fine automobiles have a USP except “extraordinary action, dominating outcome”. I liked the Leacock quote. Changan actually is partnered with Suzuki with their mandatory joint venture. I think some of the smaller models use Suzuki running gear.